Katrin (Homepage) wrote: Cool shot! But what is it? Looks like some kind of fabric?! Cerstin (Homepage) wrote: A wonderful idea and a great "painting" (would be fantastic in very very big on the wall). chiara (Homepage) wrote: I love the tones and the canvas effect. martineb (Homepage) wrote: Excellent idea!! very beautiful effect!! I like it a lot! Simone (Homepage) wrote: Non amo molto le elaborazioni profonde ma, inutile dire che nel caso dei tuoi lavori denotano creatività...una visita al tuo photoblog è sempre un piacere. 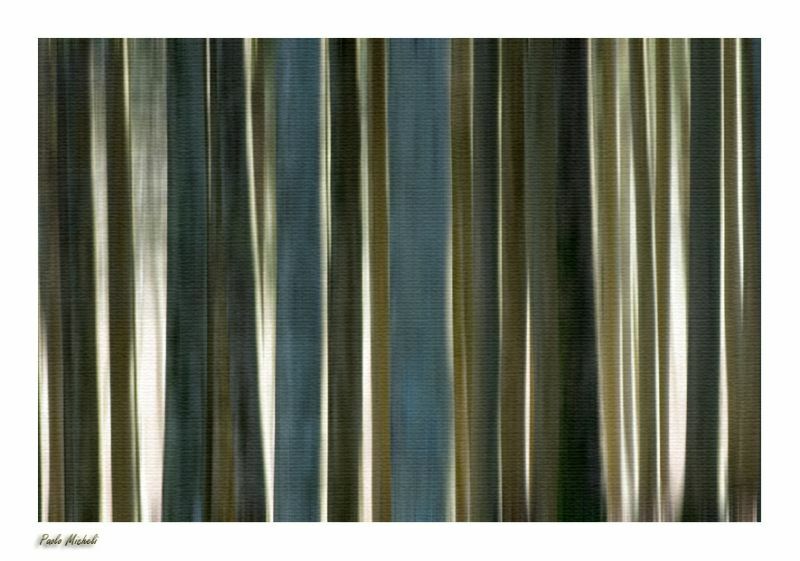 John Maslowski (Homepage) wrote: Interesting composition, like the vertical lines and tones. The lighting really enhances the effect on this image, great job. cako (Homepage) wrote: Interesting patterns and a perfect title. LGB (Homepage) wrote: What a nice composition. Great picture! Bernhard (Homepage) wrote: Wow, great abstract shot. i like it. What was that? AC (Homepage) wrote: Very creative snap. Nicely seen and well executed. Marcie (Homepage) wrote: WOW! Absolutely stunning abstract. WOW! Ilger.nl (Homepage) wrote: Very artistic. Looks painted. Marie (Homepage) wrote: excellent rendu ! j'aime beaucoup ! Laurie (Homepage) wrote: Wow I love the colors, textures, and patterns here. Florence (Homepage) wrote: Don't know what it is but it's a great abstract with lovely muted tones ! Beat (Homepage) wrote: very interesting . Is (was) this a curtain? beanow (Homepage) wrote: The beautiful, elegant and interesting image! grant (Homepage) wrote: very interesting photo, great light. Tom (Homepage) wrote: Cool abstract shot with a lovely range of colours. 613photo (Homepage) wrote: Hey, Paolo. Great shot. It reminds me of my "Metal Abstract", but honestly I like yours better. Great work. sherri (Homepage) wrote: Ah, yes, I can see that...neat capture. jo (Homepage) wrote: The canvas texture really threw me, seems like a painting, with brushstrokes even. Subtle and scrummy! Zing (Homepage) wrote: Nice patterns, colours and light. Nacho Carrears (Homepage) wrote: Preciosos colores y texturas Saludos. Denis (Homepage) wrote: Fina abstract. A curtain ? Andy (Homepage) wrote: Nice lines in this. A cool pattern.